See Fame in Central Park, part of its film fest of NYC-set movies. LIVE FOREVER: When we moved to NYC, we hoped to stumble upon a dancing-on-taxicabs scene straight out of Fame. 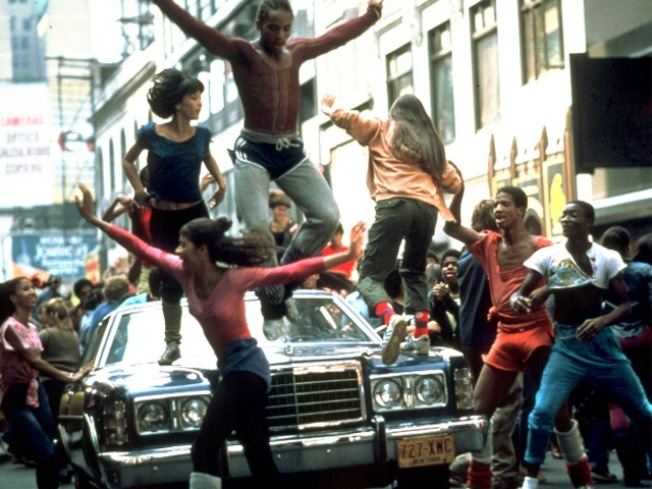 It hasn’t quite happened to us yet, but you can re-live the scene itself when Fame screens as part of The Central Park Conservancy Film Festival’s lineup, featuring movies set in our fair city. 6:30PM. CASING THE JOINT: Enjoy a sausage fest of the very best kind with Ben Turley, the Meat Hook’s sausage maker. He’ll teach you how to make luscious links from start to finish at the Brooklyn Kitchen’s Summer Sausage course.6:30PM. RIOT SQUAD: Chamber-pop sextet Ra Ra Riot rocks a show [update: the band’s appearance is a DJ set; they’ll play dates at Bowery Ballroom 9/21-22 and MHOW 9/23-24] at Brooklyn Bowl on the day their new album The Orchard—featuring producerly know-how from Death Cab For Cutie's Chris Walla and Vampire Weekend's Rostam Batmanglij—drops. Expect cranked excitement as a result. 8PM.